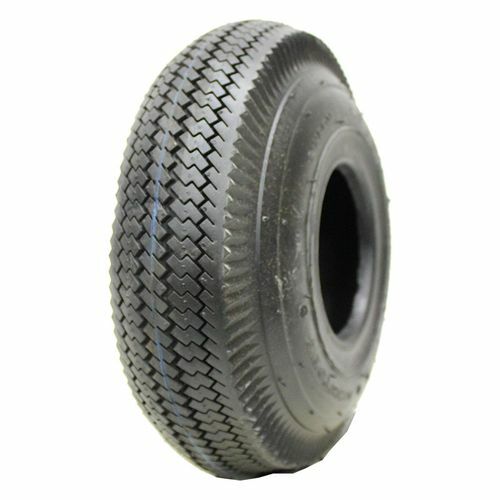 The Deestone D289 Lawn and Garden tires provide an unrivaled experience for all suitable vehicles. Their sawtooth tread design ensures strong grip on a multitude of surfaces, ranging from slippery road to grass. 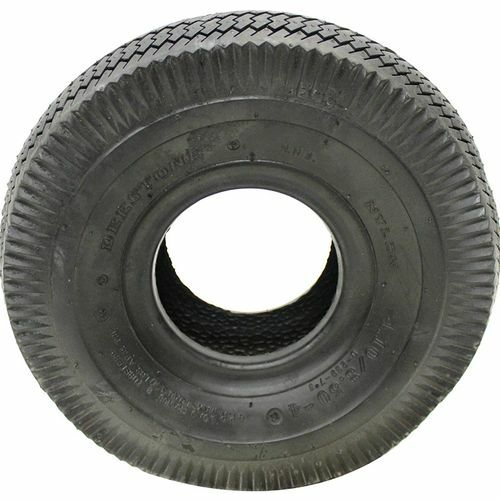 The tires are also extremely versatile, meaning they can fit on almost any tractor, mower, or golf cart. If durability is important to you, then these tires won't disappoint - they are optimized to last longer than all similar tires. 4.10/3.50--4 N/A 390 lbs 85 psi 4/32nds 3" 4" N/A 11"
Purchase includes the Deestone D289 tire only. The wheel rim shown in the picture is not included. Picture provided is a stock picture from the manufacturer and may or may not reflect the actual product being ordered. 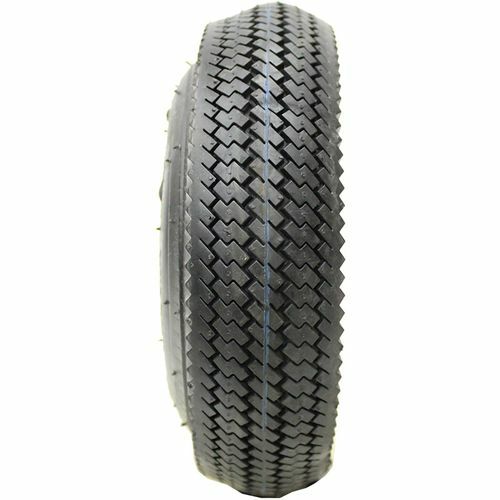 All Deestone D289 tires are continuously developing with manufactured improvements. With that said, Simple Tire and the manufacturers have the right to change these tire specifications at any time without notice or obligation. 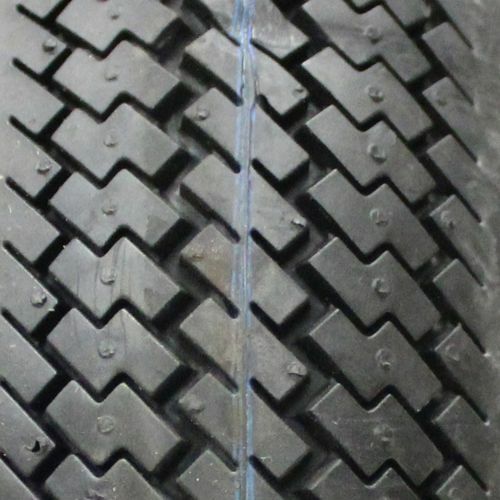 Please Note: Specifications of the Deestone D289 tires shown above are listed to be as accurate as possible based on the information provided to us by Deestone tires.